We look forward to meeting you and enjoying a glass of wine. Welcome to the best connection you made today. 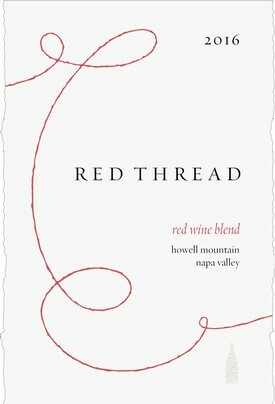 Red Thread Wines believes that our bonding was foretold by our common love of great wines. The Red Thread bond extends through the brilliance of our wine creation and extends to your food pairings, personal enjoyment and finally the sharing with your family and friends. 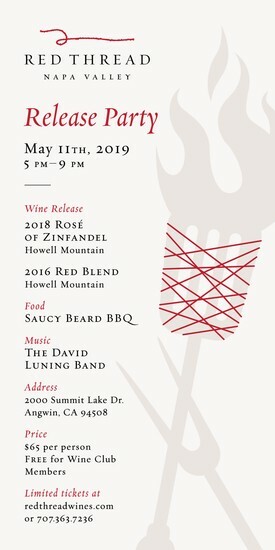 Another fabulous event featuring the new release of 2018 Red Thread Wines Howell Mountain Rose and our 2016 Red Thread Wines Howell Mountain Red Blend.